was recently known as Gaz 4 Less. They closed sometime before Nov. 2002. 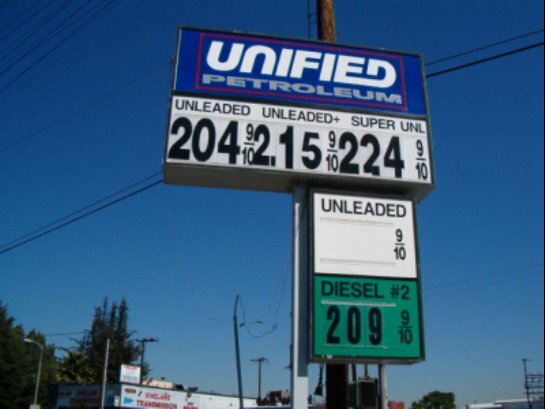 The store reopened as UNITED PETROLEUM on January 17, 2004. However, around July 20, 2004 they suddenly changed the name from United to Unified. Possibly there was a conflict with another company called United Oil. Whatever the reason, their new sign is shown above. Taken July 20, 2004 by J. Eric Freedner.